Classic Venetian beads with a little updating. 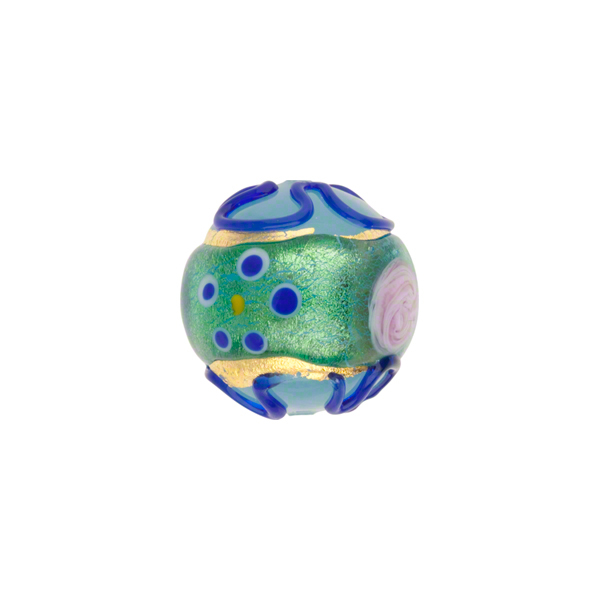 These fiorato are made with opaque glass base, and in the case of the blue, pink and green, opaline colors. They then have the classic flower and piping, but with gold foil underneath and partially exposed on some beads. This use of gold gives them a varying color. Size is approximately 12mm round with a 1mm hole in the middle. The color here is a transparent blue Murano Glass.